In a Nutshell: Before the new millennium brought the fintech startup rush, there was OANDA. Launched as the world’s first online currency converter in 1996, OANDA brought transparency to a foreign exchange market that was essentially inaccessible to the everyday investor. Over the next 20 years, while startups came and went, OANDA continued to grow and evolve into a global foreign exchange powerhouse, expanding into a cutting-edge individual trading platform, and the exchange and execution solution for businesses of all sizes. Today, OANDA’s award-winning technology is used by traders all over the world, completing millions of transactions every year. When light shines on a given material, the structure of that material determines how the incoming particles of light will behave. In a transparent material, such as glass, particles can move freely through the material — meaning light shines through. An opaque material, on the other hand, prohibits the motion of the particles, blocking light from traveling through the material. This same concept is often applied to the motion of information within a business. Companies and institutions that provide ready access to important data or resources — that allow information to move freely through the company — are said to operate with transparency. Conversely, when an institution makes it difficult to obtain information or otherwise impedes the flow of information, it is said to be acting opaquely. A major example of opacity in business has long been the world of finance (I personally believe the banking institutions invented the idea of fine print). Of particular note, is the area of foreign currency exchange (forex), where one needed to be a member of the inner circle — big banks and commercial traders — to get updated information on rates. Average consumers, or day traders, remained at a serious disadvantage in the opacity of the forex marketplace. That is, until OANDA. It all started in 1996, with a conversation between engineer Michael Stumm and economist Richard Olsen; a conversation about this great new thing called the internet, and how they could use it to bring transparency to forex trading. That conversation turned into a company — OANDA — and the first online global currency converter. 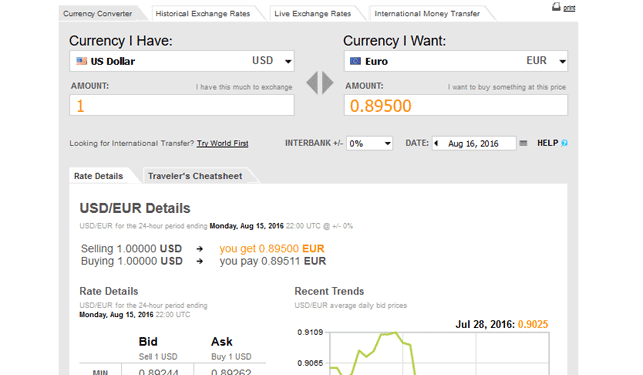 OANDA has offered its flagship currency converter free to the public for 20+ years. By providing constantly-updating rates — to everyone on the internet, for free — OANDA produced a level of transparency within the forex market that had never before been possible. Of course, they didn’t stop there. Over the next 20 years, as digital technology made massive leaps, OANDA leapt with it. The company has expanded far beyond its flagship currency converter — though OANDA still provides it, for free, to 10 million users each month — to producing award-winning online trading technology for the desktop and mobile platforms that provide access to forex trading to the masses. At the foundation of any business, especially regarding finance, there is data; he, or she, who has the latest — and most accurate — data can often get the better of the competition. OANDA’s philosophy centers around providing the best currency rates possible, to everyone. 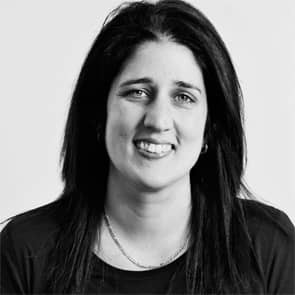 Natasha Lala, Managing Director, Solutions for Business. OANDA’s inherent accuracy is behind the global use of its online currency converter and the millions of downloads of its mobile converter application. It’s also the reason OANDA is used by major auditing forums and tax authorities. OANDA’s vision for creating an online retail trading platform was inspired by the same core idea as their converter: bringing transparency and fairness to the foreign exchange market. Today, OANDA’s desktop and mobile retail trading platforms are bringing access to forex and CFD trading to the world — and winning awards while they’re at it. The award-winning OANDA desktop platform, is available for Windows, Mac OSX, and Linux, and can be downloaded to your desktop, or accessed through any internet browser. With market volatility moving in milliseconds, execution matters. OANDA’s execution engine is lightning fast, executing 98% of trades within 0.57 seconds or less. Rolling out globally in support of their 20th anniversary, OANDA is introducing v20, their new trading engine that offers institutional grade execution. 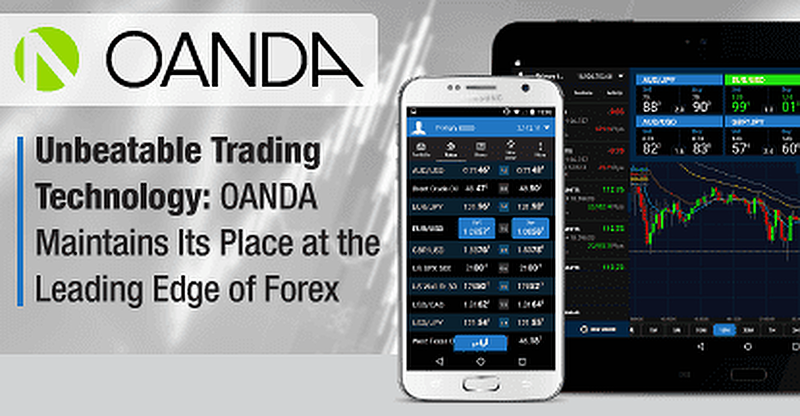 To monitor market movements wherever you are, download OANDA’s mobile trading app to your Apple or Android device. The application isn’t hampered by a small screen, either; configure your workspace for optimal performance by selecting only the charts you need. 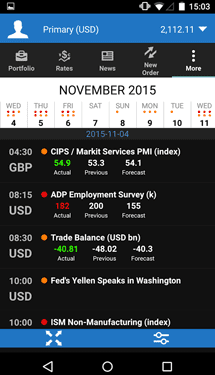 The fxTrade Mobile platform lets you perform analysis and execute trades, wherever you go. Both platforms also incorporate OANDA’s real-time rates for over 70 currency pairs*, as well as an extensive array of technical analysis tools. Choose from tools that include volatility graphs, Fibonacci trends, candlestick patterns, and more. Create customized searches, filtering by time frame and pattern type. Even use OANDA’s exclusive Correlating Signals feature to receive email notifications when support/resistance levels coincide with projections. Want to try out the latest from OANDA’s engineers? 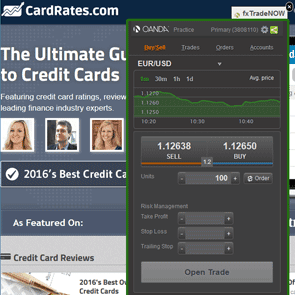 Check out the OANDA Forex Labs, where tools are released for beta testing. Users are encouraged to try new tools and provide feedback to help improve future releases. Additionally, OANDA offers a ton of learning resources for the novice and expert alike. The comprehensive guides and tutorials found through the OANDA Academy can introduce you to the basics of trading, the forex marketplace, and the fxTrade platforms. Transparency in the marketplace is not just important to the individual retail trader; any small- or medium-sized business that buys, sells, or sources from a foreign country will encounter the need for the most accurate, up-to-date currency rates. “Corporations have a very different goal [from retail traders],” explained Natasha. “Their goal isn’t speculation — it’s quite the opposite; corporations want to manage risk.” For an individual, an exchange rate that is off by less than a cent may be of little concern, but that 0.5% scales with the size of the transaction — potentially adding up to thousands in lost profit or mispaid taxes. With that in mind, OANDA has designed its business solutions to be the secret weapon of CFOs in mid-market corporations everywhere. To start, their currency rate information can be incorporated into any business platform via an automated feed API. Designed to integrate seamlessly with existing business software, OANDA’s API provides not just current rates, but also historical rates going back to 1990 — that’s more than 38,000 currency pairs across over 190 currencies. OANDA also offers a more extensive platform, with the ability to execute, settle, and process payments around the world. There are plug-and-play wholesale solutions, as well as complete white-label services. Support is available 24/5 — whenever the market is active, so are the customer support teams at OANDA. “When life gives you an opaque market, build a transparent window.” OK, so it doesn’t have quite the same ring as the one about lemons and lemonade, but it’s true nonetheless. OANDA’s philosophy, providing access to forex to the world, drove their initial success, and continues to inspire market-leading technology and innovation. Whatever changes may come, OANDA has proven their ability to survive — and thrive — online for two decades, and shows no signs of slowing down. *OANDA offers a wide array of online trading assets such as forex and precious metals pairs and stock index, bond and commodity CFDs in other regions where the company operates.